What to say, just "wow", and great! 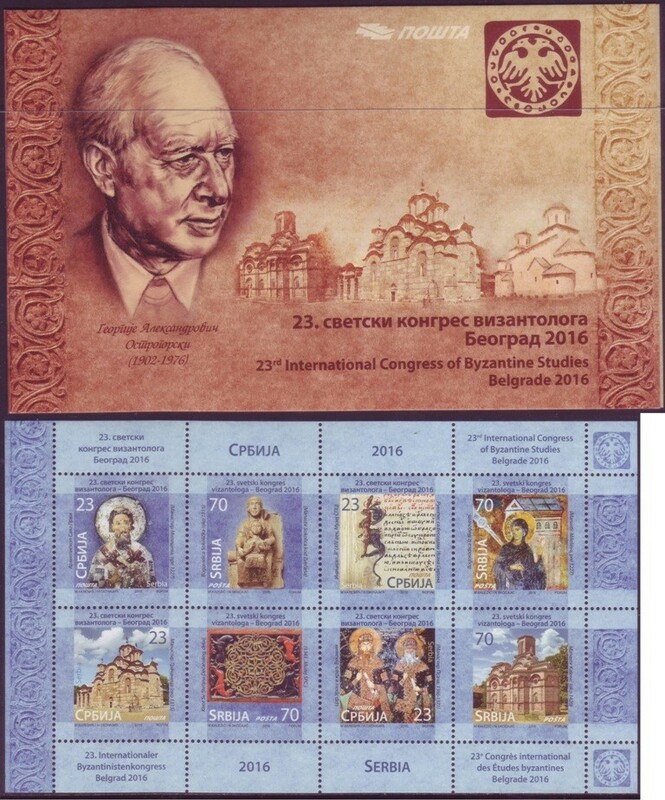 This come to the market well on Aug. 22, 2016, to promote "23rd International Congress of Byzantine Study", which was held in Belgrade, Serbia this (2016) year. 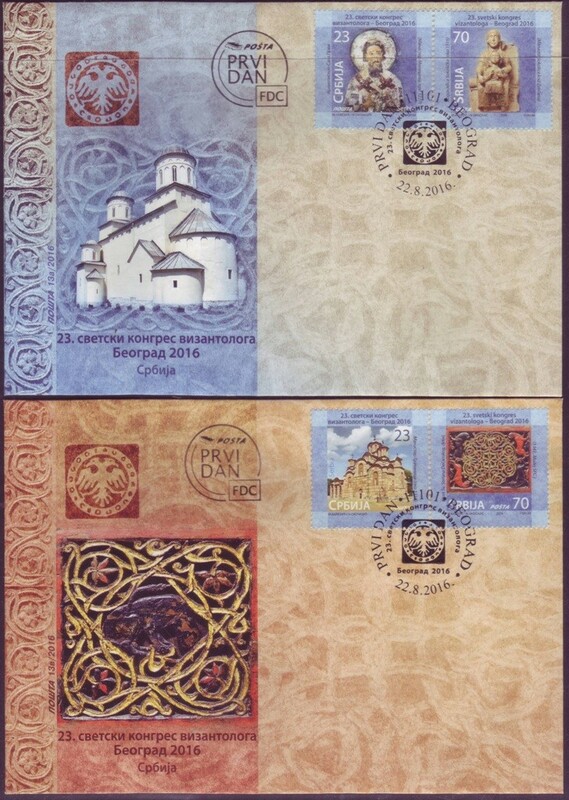 Set of eight stamps, with very affordable face value, and with really great design by two artist (MA Marina Kalezich, MA Nadezhda Skochajich), this made it great! Archibishop Sava, Mother of God of Sokolica. Why I say "great" for this issue? Because in very "short" way, it is explained early period of Serbian history, with significance for education of future generation and whole world population, about Serbia and Serbian people. Clearly, here we don't see any "modern" political intention, and it is "pure" scientific "show" of fact and proof that Serbian people have one history in written document, dated back to 1200+ year! I'm just happy to see that Serbia and Serbian Post made this issue, because not every country in our small planet, still care about own peoples history. And not many made it by postage stamps as mean to show it! It is forever, it is written and it is effort worth to celebrate! 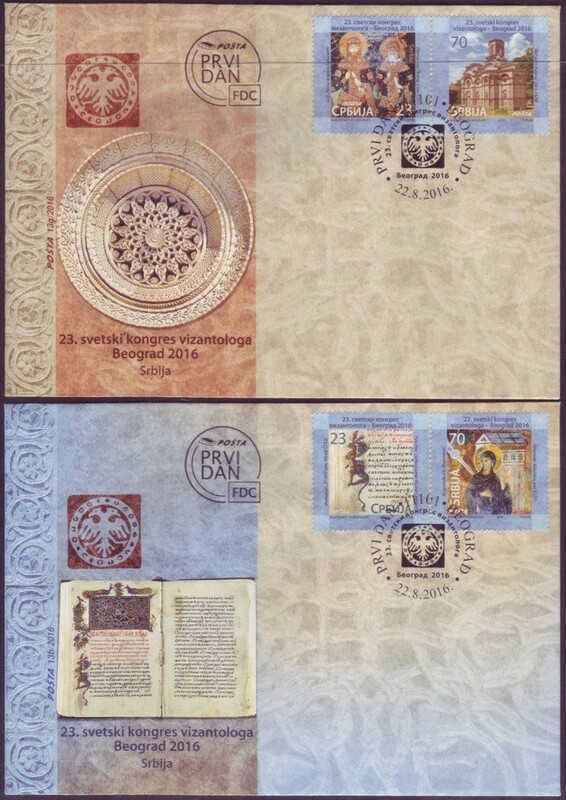 Glad to see, that responsible people in Serbian Post, also care about relatively low face value of this set, as face value come close to 3.40 US$, which will be affordable by any level collector that collect topical as: Religion, Churches, Archaeology, Manuscripts, Sculpture.... and some more. How much will dealer ask? I think, that dealer will not go bellow 6.00 to 8.00 US$ per booklet, for near period. Probability that price will go down depend on availability of same issue, but, if Serbian Post decide to supply it in big quantities, that hope for "better" price exist. I think (and I will repost this article also on my another blog page: http://stampmusthave.blogspot.com), that this issue is very, very worth to have in any collection.